Ok, We clipping the object with our DTP expert. Photoshop Masking is a great technique to remove background from hairy image. Ghost manipulate is the awesome service to make a cloth 3D look. Reflection shadow makes a product crystal or mirror effect feel. We are always promise to provide unique and best quality full service. 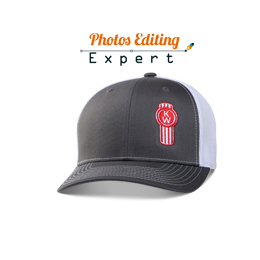 We make your photo web and SEO friendly. It's make your eCommerce website more attractive. We are capable of handling the bulk order of images which may contain more than 5000 images. Get all the images within the required time. Our customer supports always active to prove you any kind of information. They also answer your answer. The best way to get started is to contact us via email or contact form. It helps us to get know each other and ascertain whether our service will be of benefit for you. You can choose multiple services if you need. Upload your Images via FTP, Wetransfer, Dropbox and other file transfer system. Then we will send a invoice to you. After your confirmation, we will start the editing process. After complete your project we will inform you via mail. We have found Annuity Strategic to be exactly what we have needed to manage our financial matters. They have been extremely helpful, and very practical, in their advice on pensions, inheritance tax planning and investment strategies. Just to say thank you for the time you obviously put into my strategies. They listened to what I want to achieve for a secure retirement & have guided me towards an investment plan.